Since I had vein treatment done on my leg this past week I didn’t spend any time out looking for pictures to take. 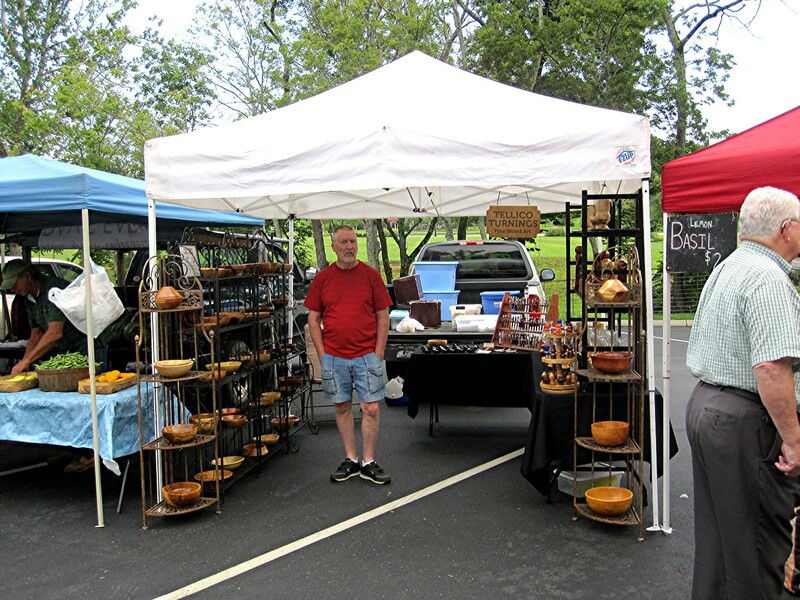 We do a farmer’s market every Saturday, which has been a regular “summertime” project for us now for five years. This is one of the outlets that Chuck uses to sell his wood turnings. We do two different markts on alternating weekends. This market is the smaller one that we do, and I believe the most profitable for us. The other market is downtown Knoxville at Market Square. 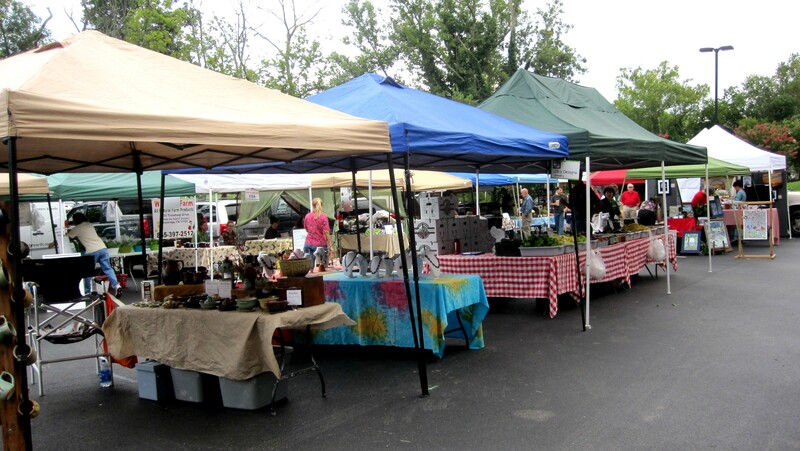 This market is huge….over 100 vendors! Yesterdays market was only about 25 vendors. 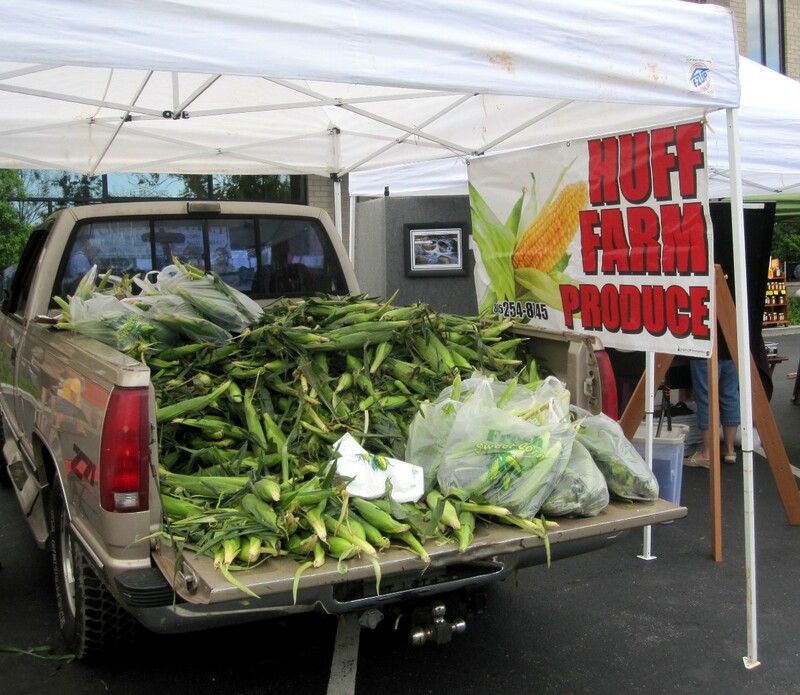 So for this challenge I bring you pictures from this Saturday’s Dixie Lee farmer’s market. This is only one row of the market. It’s about 50-50 produce and crafts. Folks were lining up for this fella’s fresh corn. He sold out before the end of the market. Check out the watermelon in the back. This table is 30″ wide and it goes from front to back. Weight….86 lbs.!!! This one would feed the whole family reunion. 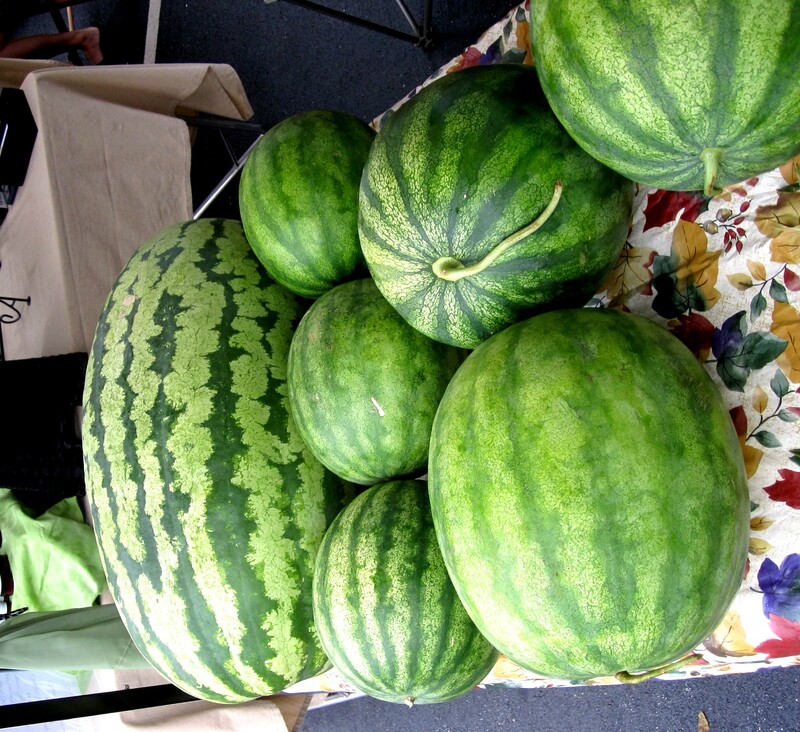 This entry was posted on August 12, 2012 at 12:32 pm and is filed under Uncategorized with tags Farmer's Market, Watermelon. You can follow any responses to this entry through the RSS 2.0 feed. You can leave a response, or trackback from your own site. Looks like there was some yummy stuff availably. I love going to farmer’s markets. Always fun and always good food and other things to find. Oh I love farmers markets! And wow huge watermelon!! Nothing says summer like home grown produce. Those hand turned bowls are beautiful. I’ve always wanted to try that, maybe it will make onto the list someday. Open air markets are the best. Such beautiful woodwork! Gotta love returning customers. I haven’t been to the local farmer’s market this year, my bad! That’s some watermelon! Glad it’s a good way to earn some money and enjoy yourselves, and I hope you recover well. It’s so fun to visit the Farmers Markets. I love to support local folks, too. I’m glad that it was a profitable day for you guys. And I hope you and your leg are doing well. We love to go to the farmers market. Maybe one day we’ll make it to yours. Lots of hard work by the vendors. A great choice for summer — we love to go to farmers markets — and yours looks like a greast one. I’m hungry for watermelon all of a sudden ;>). I wasn’t able to link up to Sunday Stills — apparently it won’t take comments from Typepad users or something. Wow, your market is huge…alot bigger than ours…. Glad you had a good day. Nice looking booth..